The Green Revolution, starting in the 1950s, has produced food and feed for over 7 billion humans now living on the planet. This can be considered a success story, albeit it did not happen without consequences. Today, there is ample evidence that the massive extraction, conversion and use of resources has reduced the resilience of life-support systems which may sooner or later collapse with dramatic consequences for life on Earth. By converting atmospheric nitrogen and fossil phosphorus to fertilisers, humankind has made the Green Revolution possible. Over time, humankind has used too much and without care about losing a substantial fraction of reactive nutrients to air and water. Intensive livestock farming concentrated in specific regions and inadequate removal of nutrients from wastewater have exacerbated the problem. Consequently, algae blooms are feeding bacteria that consume the oxygen needed for a balanced aquatic life and leave dead zones in large parts of the oceans, one of the essential life-support systems on the planet. Rivers and lakes in Europe are equally overloaded with nutrients and frequently missing the state of good quality at which European policies aim. SYSTEMIC aims to showcase how five demonstration plants convert agricultural waste and organic fractions from industrial and municipal waste to energy – electricity, heat and/or biomethane – and recover nutrients in a form in which these can be returned to croplands where they are needed. SYSTEMIC addresses two of the threatened ecosystems mentioned above: climate and aquatic bodies. It develops examples of applied Circular Economy solutions, bringing together multiple actors from agriculture, industry, science, services and policy. It demonstrates that combining digestion for energy conversion and nutrient recycling for a balanced plant nutrition on soils across Europe can be a profitable business and simultaneously reduce harmful nutrient emissions to the environment. 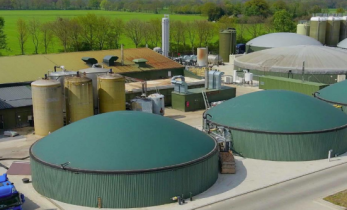 The project has already produced a guidance for investors, planners, owners and operators of large rural Anaerobic Digestion (AD) facilities intended to recover and recycle nutrients from the digestate of their operating or planned facilities. The guidance covers European and selected national policies and legislation that are relevant to digestion projects. Policies and legislation essentially aim at a sustainable agriculture, abatement of greenhouse gas emissions, preservation of soil fertility, food security and safe food for European citizens. The legal framework consists of a mix of financial-support schemes for conversion of biomass to renewable energy and restrictions to the excessive use of nutrient-rich digestates on crop- and grassland. The framework contains a large variety of legal acts which are binding for the whole EU territory, albeit in part leaving room for adaptions and interpretations of European directives when these are converted into national legislation. The European Court of Justice is the highest instance to decide if a national interpretation and/or adaption of a European directive corresponds to the original intention and scope of the European legal act to which it refers. Even if the density of legal acts addressing rural activities looks overwhelming, readers will soon acknowledge that they follow a clear target and pursue a meaningful strategy. Indeed, readers will understand that this legal framework is providing a roadmap for opportunities, albeit with some constraints inherent in every legislative act. Opportunities created by the European legal framework include: funding sources and constant revenues under the Common Agricultural Policy (CAP) and the European Regional Development Fund (ERDF); as well as feed-in tariffs, premiums and green certificates for renewable energy. Additionally, business opportunities created by restrictions on spreading unlimited amounts of nutrient-rich residues to crop- and grassland require innovation and technologies to produce more concentrated fertilising products that can be shipped to destinations where nutrients are needed. Regulations are the key to developing business cases. A close review of the regulatory framework is needed for business cases to be analysed and evaluated. The above-mentioned report is the result and the first milestone towards the development of business cases and business models for the five SYSTEMIC demonstration and ten outreach plants. 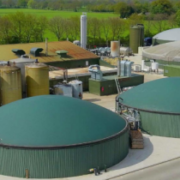 (2) A widespread discrepancy in national legislative frameworks is the regulation on acceptable substrates if the digester benefits from support schemes in terms of energy crops, sewage sludge, agricultural and food waste etc. Greater harmonisation among Member States or general European regulation would be desirable. (3) In terms of restrictive regulation, many Member States have implemented similar action programmes to improve water quality, as required by the EU’s Nitrates Directive, leading to similar regulations on nutrient application. However, compliance with such regulations is much more challenging in countries with high livestock density, as evidenced by all demonstration plants, in comparison to some outreach plants in countries where the pressure towards nutrient separation is lower. Reducing greenhouse gas emissions must pay back: emissions and other externalities must be subject to sensible taxes or other mechanisms causing a relevant cost for the polluter. EU-wide harmonisation: Europe is sharing policies, regulations and objectives, but how objectives are pursued is governed by each Member State with own definitions, strategies and regulations complicating the life of actors in the common market. The new regulation on fertilising products is an excellent example which should be followed by similar legislative acts for the necessary transition to a Circular Economy. Continued support to renewable energy supplies: surprisingly, after the EU and its Member States signed and ratified the Paris Agreement (COP21), subsidies for renewable energy were reduced, in some cases to zero (Spain) and in others to rather unattractive tenders (Germany), discouraging investment in biogas plants. Gradual shift of taxation from labour to materials use: nutrient recovery and recycling frequently involve higher workload, compared to producing fertilisers from fossil resources, thus creating jobs in rural areas. However, renewable labour is highly charged with taxes and social expenses, whereas fossil materials use is not at all, or only marginally taxed, adversely affecting recycling. Level playing field for equal products, regardless of their origin: the Circular Economy is only possible if products are regulated without discriminating recycled raw materials. This approach is successfully pursued under the new regulation and must be applied to other European regulations and directives. Long-term reliability: funding schemes and other regulations must provide a reliable framework within a strategic time-frame, long enough to enable the calculation of returns and payback times.